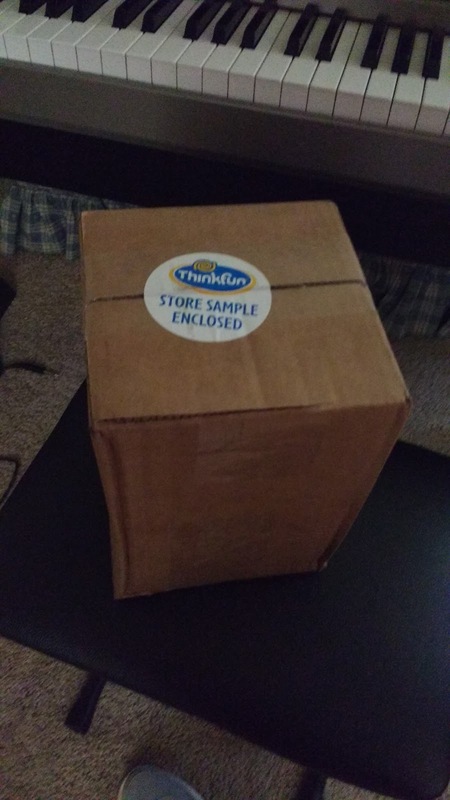 If you love logic style puzzle games, then you are most likely very familiar with the ThinkFun company. 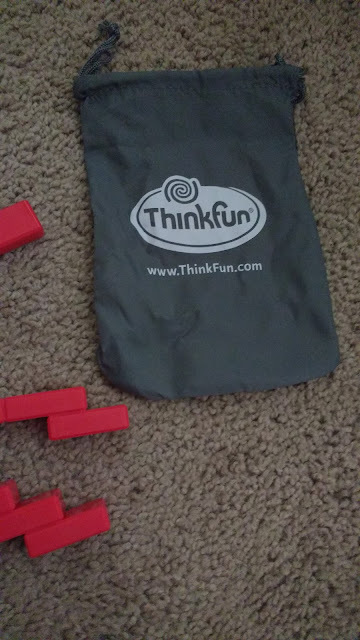 ThinkFun is famous for games like Chocolate Fix, Math Dice, Swish, Izzi, and Rush Hour. 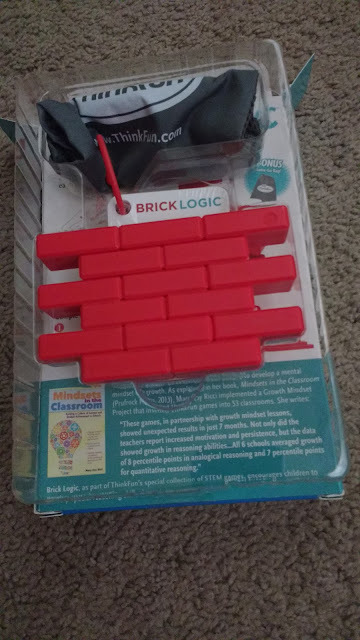 I opened it up to find ThinkFun's Brick Logic STEM Brainteaser Puzzle. I was excited to see one of my favorite books on growth mindset - Mindsets in the Classroom cited on the back of the box! 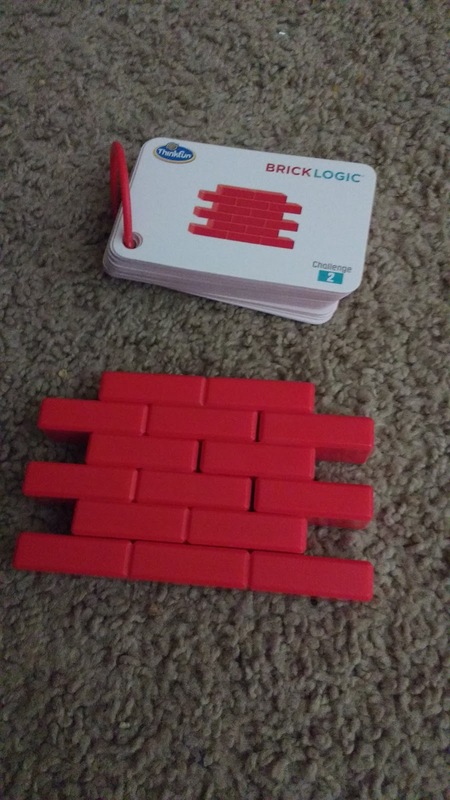 This puzzle features five brick pieces. 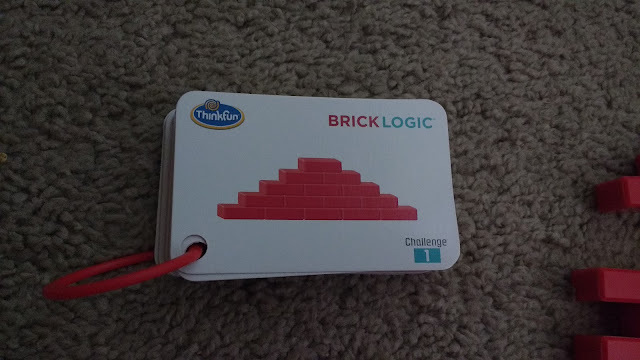 You also get a drawstring bag to store the bricks in. 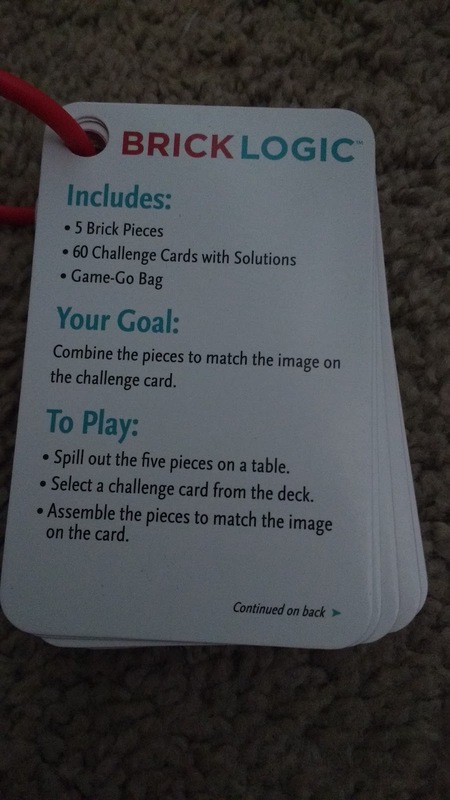 And, there is a deck of 60 challenge cards (and solutions) to keep your mind working for a LONG time to come! I love that there is a ring on the deck of cards to keep them in order and organized! Here's the first challenge. Take the five brick pieces and make a pyramid design. When I saw this, I thought "This will be easy!" Ha ha ha. Definitely not right. I was beginning to think it was impossible, so I decided to step away from it for a moment and clear my mind. 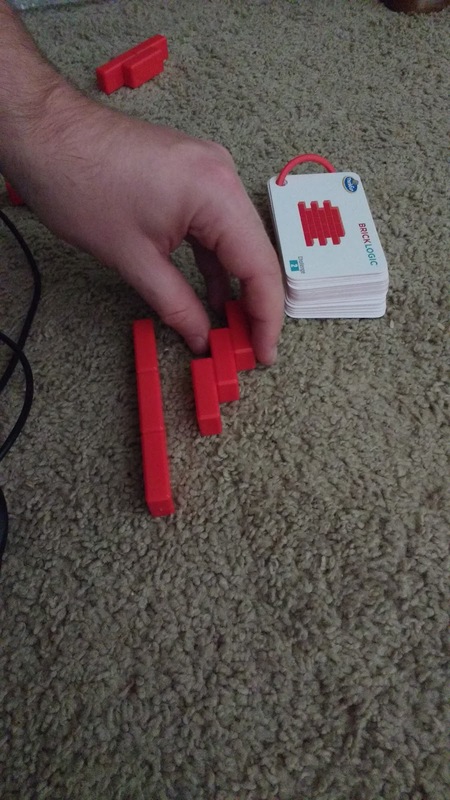 Of course, my husband stepped in during this moment and solved it. 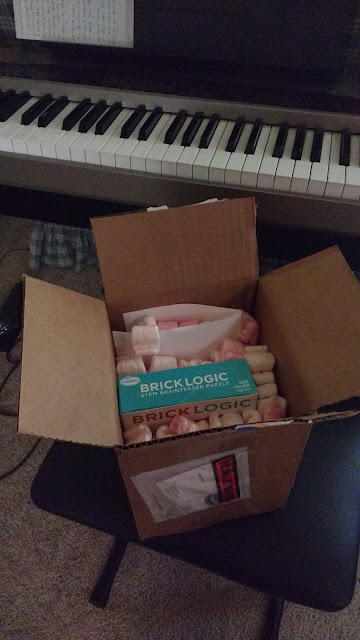 So, I definitely knew it was possible. 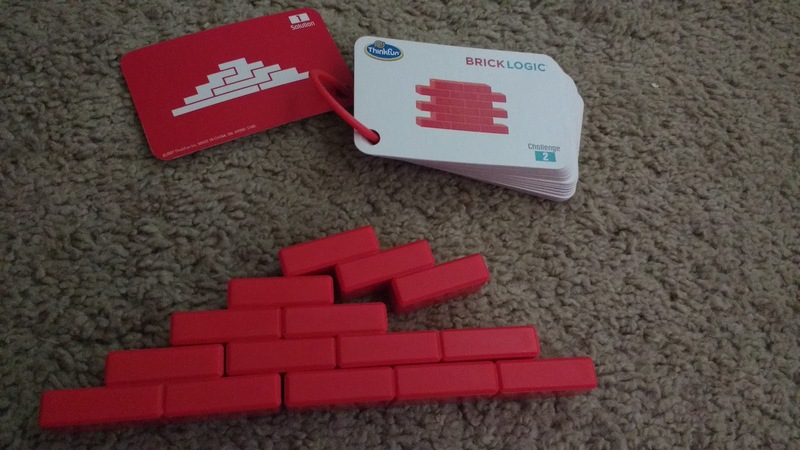 This game definitely requires logical thinking! 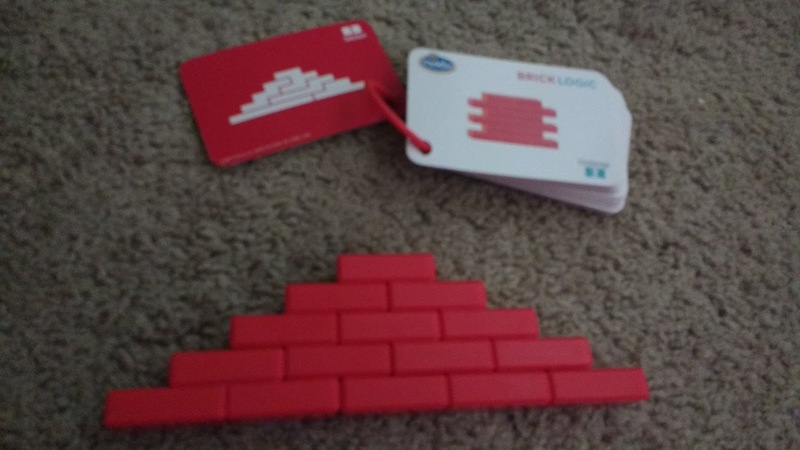 I would pick up a piece, hold it up to the card, and reason through which level it could and couldn't be a part of. Eventually, I achieved success! 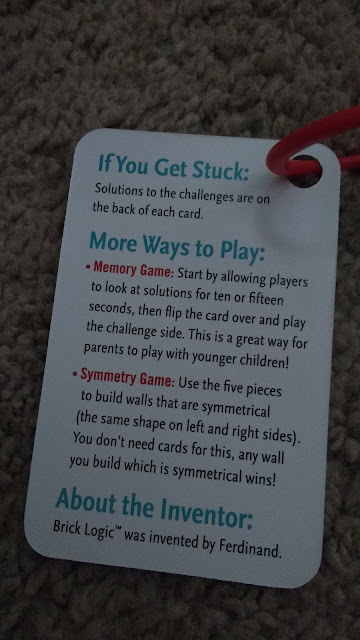 We won't talk about the fact that it probably took me twenty or twenty-five minutes to figure out the first of sixty challenges. Don't let that scare you. Shaun did the first puzzle in under two minutes. 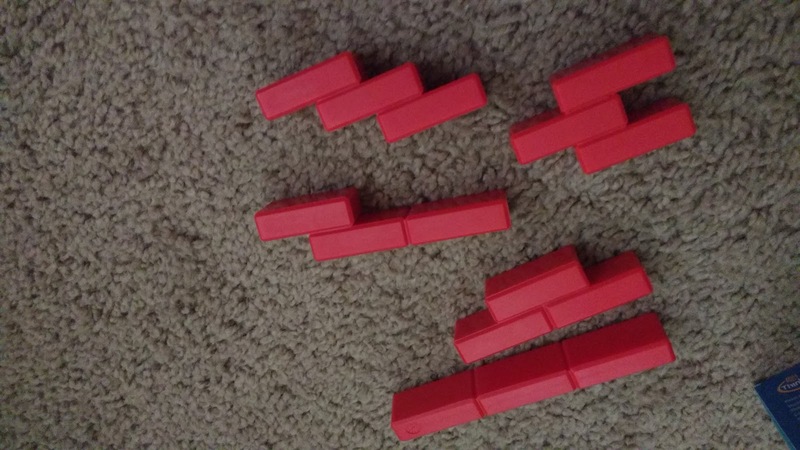 And, several of my kids at school tested it out, and each of them finished the first level in under five minutes. I don't think I have very strong spatial reasoning skills, so this is definitely the type of game I need! 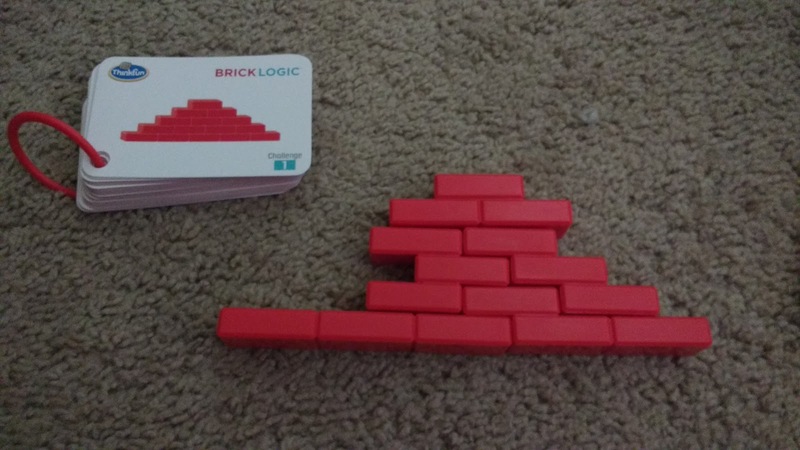 I did find it interesting that the solution I came up with in the end was different than the solution on the back and the solution my husband came up with. 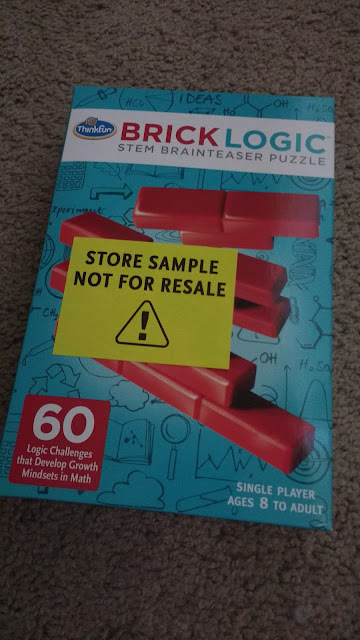 I am so impressed by the quality of this brainteaser puzzle. Since it's a math-y puzzle and I'm a math-y person, I might be just a little bit biased toward the game to start with. This past week was a bit crazy at school because our softball team made it to the state tournament for the seventh or eighth year in a row. This is very exciting for them, and to show our school's support, they let any 7th-12th grade students who were passing all of their classes go to the game to watch them play. This meant that there were VERY few students left at school. In my trig class of 9 students, there were 3 students there. In another class of 12 students, there were 4 students there. I couldn't very well go on with the planned lesson, so I asked the kids to test out this game for me and give me their opinions. The game is specified as a single-player game for ages 8 to adult. The students who tested this game for me were between 14 and 18 years old. The first thing I noticed was that they made it through the first challenge WAY faster than I did! And, they were eager to go on to the next challenge and the next challenge. There were smiles all around when they finished a challenge. When a challenge was particularly difficult, I often heard a whispered "YES!" escape. 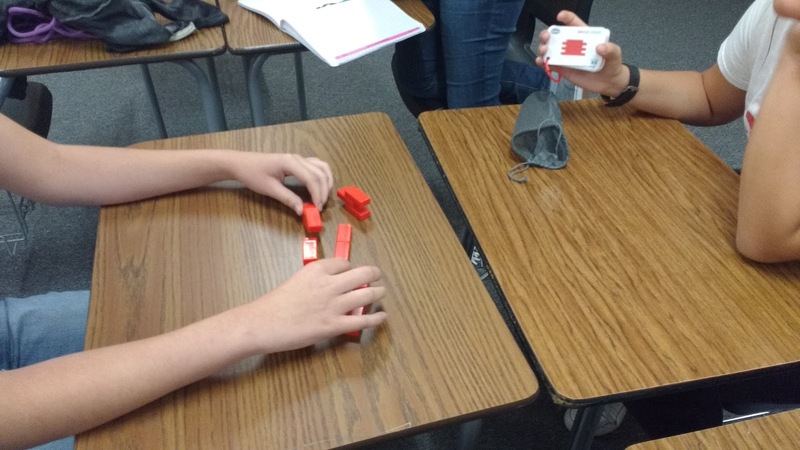 One student finished 13 challenges in a fifty-minute period. When I had told one student that the company had sent me this game to test out, he thought they had sent an entire class set of the game. When I told him that it was only one game, he was a bit disappointed. I guess he wanted his entire class to be able to enjoy the challenge. One girl returned the game to my desk saying "I don't like this game!" I don't think she hated it at all. I believe this was said in a "That game is super challenging!" sort of way. 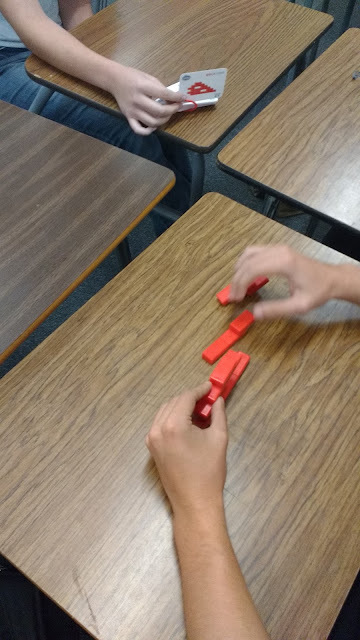 I noticed an interesting thing when I started watching my students try to solve these puzzles. Both ways are perfectly fine, and both ways will get you to the same solution. I just think it's so interesting that I never thought to assemble the bricks in a upward fashion myself. I saw them working only one way. 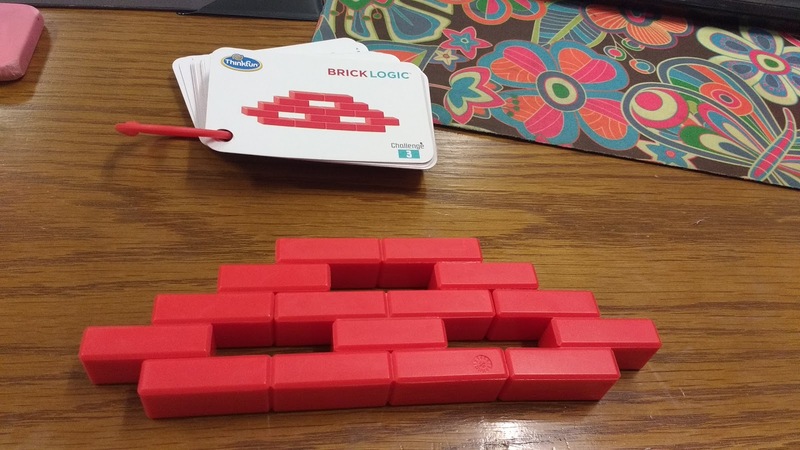 I think this Brick Logic Puzzle Game is a perfect way to help build growth mindset in students. I would love to apply for a grant in the future to get an entire class set of these. They would be great to use with students when I emphasize growth mindset at the beginning of the year. They would also be great for students to pull out when they finish a quiz or test early. 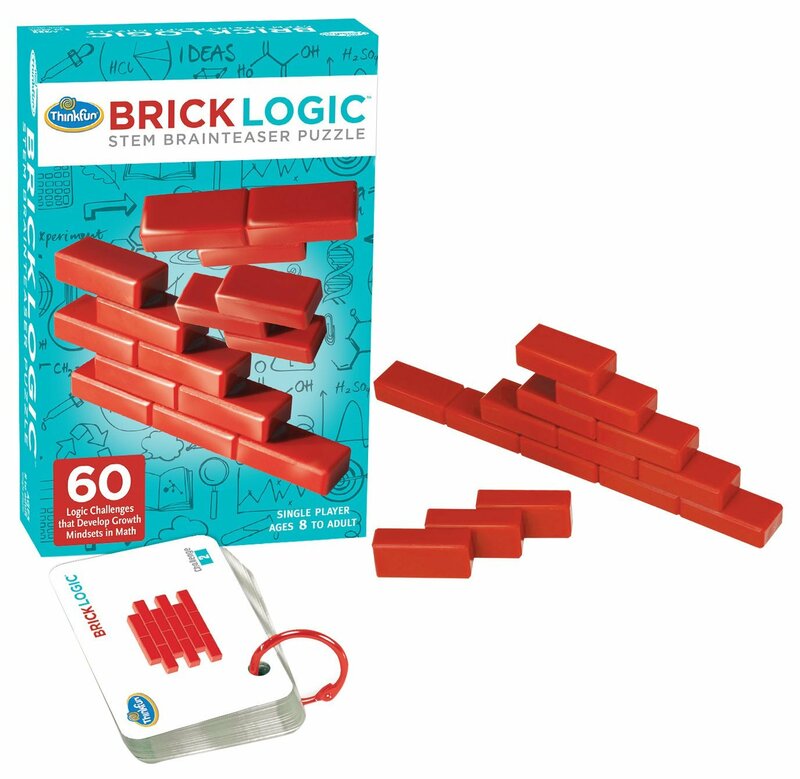 Does Brick Logic sound like a puzzle game you or your students would enjoy? It's currently available for pre-order on Amazon. 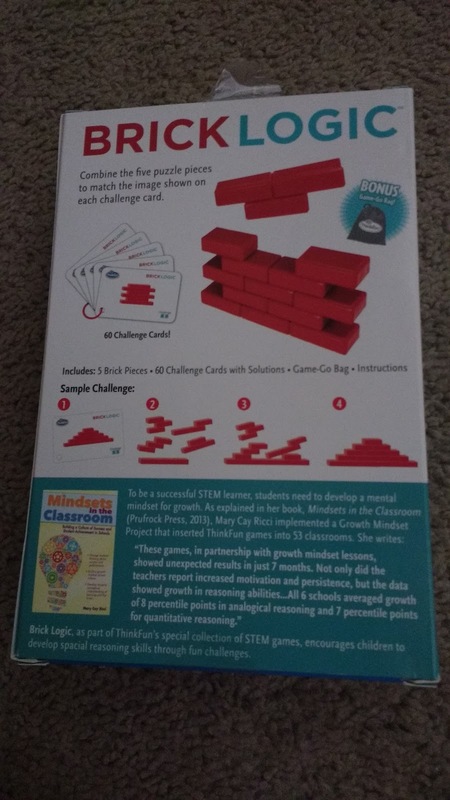 I have been wanting to get some games for my Geometry classroom and I think this is a great one to start with. Just pre-ordered it on Amazon! Thanks for sharing Sarah! Hope you and your students LOVE it! I have this game in my board game collection! I picked it up at a garage sale for 50 cents! 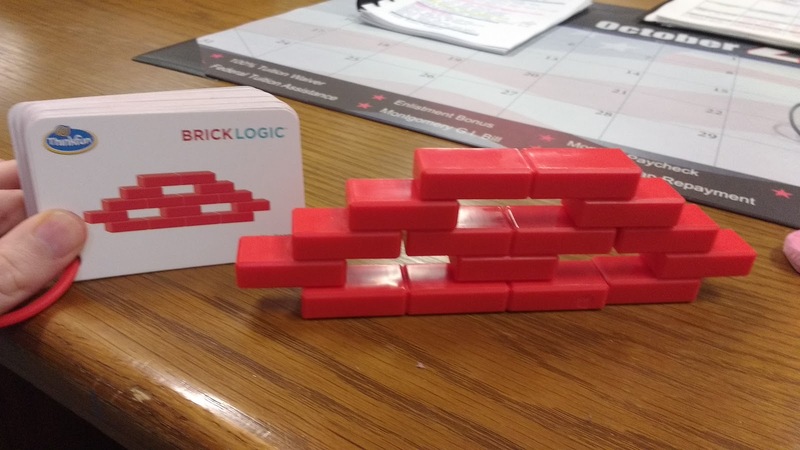 It's definitely great for developing spatial reasoning. 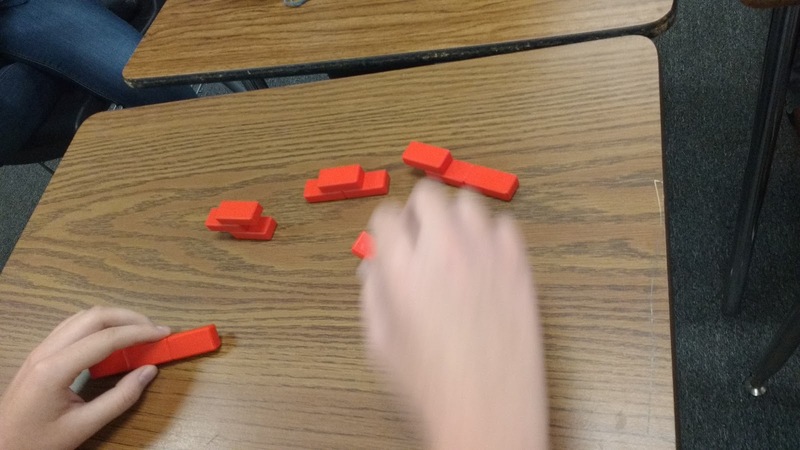 Some of my students started by using the answer side to build a couple structures and it helped them understand how the pieces fit together. I usually only get board games out at the end of the school year, but this would be a good one to keep out for fast finishers. Garage sale finds are the best!! !